Sign up for Broadjam today to follow Jordan E. Spivack, and be notified when they upload new stuff or update their news! 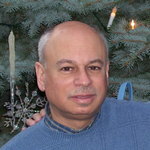 Jordan E. Spivack is a prize-winning composer/lyricist and pianist who lives in Nanuet, NY, and has written many new age, jazz, and classical compositions, pop songs, a collection of songs for pre-schoolers, two musicals for children, and the opera: A Better Way, with libretto by Joseph P. Lanzone. His previous original solo instrumental CDs include My Provincetown(2006), Shimmer (2004),World Trade Center Suite, Symmetry, Pictures Of Me, and Red Ribbon Collection. Think Lovely Thoughts is a collection of 10 instrumental musical mood paintings in styles including New Age, Jazz and Acoustic. All of the music is composed, arranged, performed, and produced by Jordan E. Spivack. In the artist/composer's own words: Ever since I was a young child, I loved watching Peter Pan (the Mary Martin version) on TV. I still get a thrill listening to the original Broadway cast recording (1954) with terrific, inspiring and delightful lyrics and music by Betty Comden, Adolph Green, Carolyn Leigh, Moose Charlap, and Jule Styne. I ve always been especially impressed with the scene in which Peter teaches the three Darling children to fly. First, Peter blows the fairy dust on them, then he entices them to think lovely thoughts , and before you know it, they re flying. So I hope when you listen to this CD, the music inspires you to think lovely thoughts, and fly!